Last week Apple announced a complete overhaul of its iPod lineup including a new Shuffle, a new Nano (with multitouch screen) and a new iPod Touch. While the nano looks cool, it’s pricey and honestly I haven’t been interested in a dedicated MP3 player in about a decade. The new iPod Touch however piqued my curiousity. With many of the same specs as the iPhone 4, I wondered if the new Touch might be a neat way to get most of the functionality of the 4 without the albatross of a contract AT&T hangs around your neck. 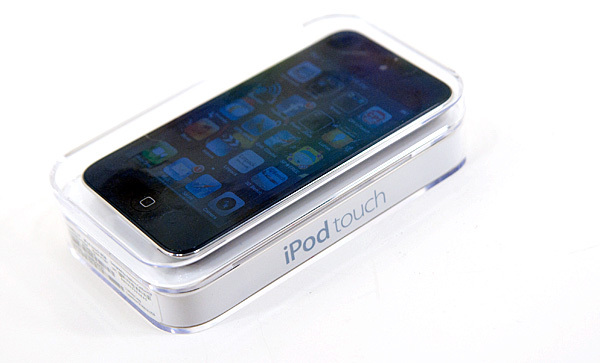 It turns out there’s a lot more than a cellular radio that separates the new iPod Touch from the iPhone 4. 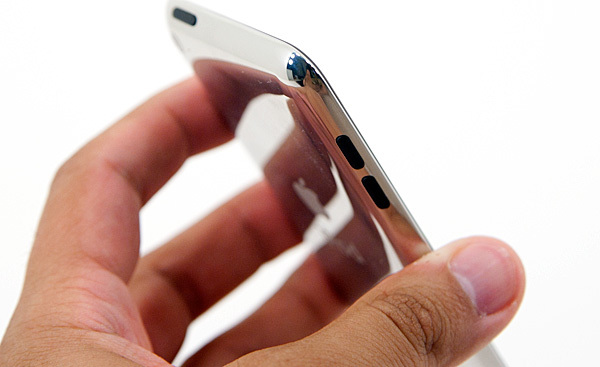 The entire device is ridiculously thin, it makes the iPhone 4 feel like a brick. It’s comfortable to hold in your hand and honestly the size I wish all smartphones were. The buttons are also cheaper than what you get on the 4. 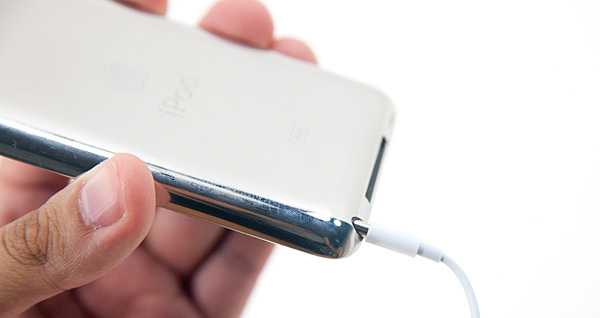 The new iPod Touch has individual rubber volume up/down buttons on the left side and a low profile power/lock at the top. It’s not the most elegant (or engineering friendly) design, but it does work. There’s an external speaker at the bottom of the iPod Touch, but it’s not quite as loud/bassy as what you get with the iPhone 4. It’s enough to listen to music in a relatively quiet room but you’re much better off with headphones. The 4’s external speaker weighed in at 90dB(A) compared to 78dB(A) on the new iPod touch. This is very important for our FaceTime discussion later. The new iPod Touch is available in 3 flavors: 8GB, 32GB and 64GB. The features are the same across all models. If you’re wondering why I didn’t run Epic’s amazing Citadel demo, it’s because of the next major difference between the iPhone 4 and the iPod Touch: memory size. The A4 in the iPod Touch appears to be a lower clocked version of what you get in the iPad, it only has 256MB of memory compared to the 4’s 512MB. Currently Epic’s Citadel demo treats the iPod Touch as an iPhone 4 and crashes before getting into the demo as a result. Epic should have an update out soon that fixes the problem by lowering texture quality to fit within the memory limits of the iPod Touch. The reduction in memory size simply means you won’t be able to have as many apps open as you would on an iPhone 4. iOS does a relatively good job of memory management so you’ll only see this surface while multitasking with a lot of apps. When it does surface you’ll simply try to switch to an application and note that it has to reload from scratch rather than just picking up where you left off. This is purely a profit play on Apple’s part. The iPhone 4 is much more expensive, especially taking into account AT&T’s contract, and as a result you get more hardware despite relatively similar up front costs. Wow. Nice to see someone admit it instead of darting around the clearly inferior device. Lots of people are just giving this ultra high review scores for no good reason. Is it a good device? Sure. 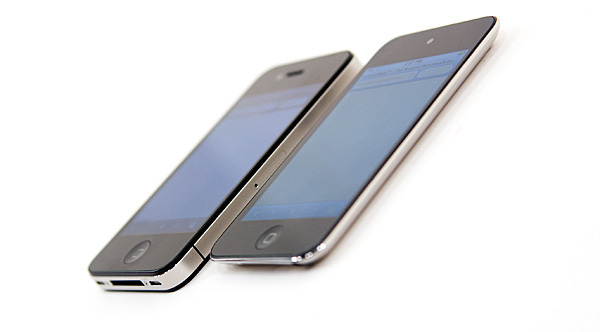 Is it an iPhone 4 minus the phone like the original iPod touch was to the iPhone at the time? Nope. not even close. I'm kind of saddened by a lack of GPS, higher quality screen, more ram (which will impact it down the road in what you can and can't buy out of the marketplace), higher resolution camera, and speaker. It really seems like a lower quality device than what could have been produced, which is something I never used to see Apple do. I knew they produced expensive stuff, but I always felt it was top notch. This seems . . . less so. You do not understand Apple economics. If you thought Apple has never made low quality devices, you clearly have been absent these past 5 years when the iPhone came out. When the iPhone came out, it was gimped from the very start. It didn't have copy and paste, no flash support, no memory expansion, no multitasking. Hell, it didn't even have 3G! But it knew it had other selling points (an actual UI, shocking!) and a top-notch touchscreen. This allows them to make minimal upgrades every year to the system (now with 3G! ZOMG! ), which makes the sheep buy it every single damn year. Apple makes products to make their previous generation look bad. But also, they make other current products to make OTHER current products in their lineup to look even better and to give them room for the future so they can make a product that makes your current phone look like a POS. The Shuffle doesn't have a screen, but the NANO does! ZOMG lets spend 100 bucks more! The Nano got stripped of its bigger screen, video capability, video camera, calendars and games. Why? 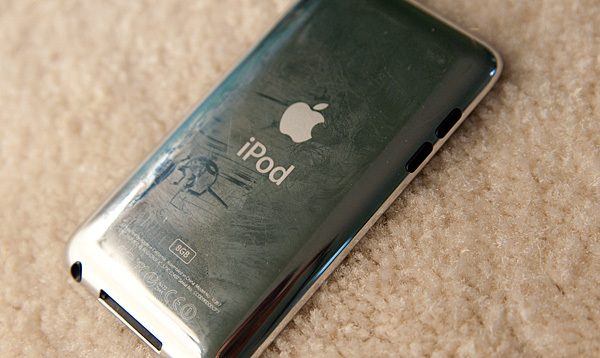 To make the iPod Touch look good! And hey, the iTouch's got a front facing camera, a faster processor and a crisper screen! Everybody wins right? And the iPod Touch is a gimped version of the iPhone 4 yada yada yada. Inferior to what? A smart phone that costs twice as much when unsubsidized? When subsidized you pay a massive amount more in total anyways, so the comparison is flawed. Appales to apples is unsubsidized cost vs unsubsidized cost. Whats the itouch vs an zune or such. Not vs an iphone. I don'tcare if apple produces expensive stuff? Youd care if the touch cost twice as much thats for sure, you wouldn't buy it, even apple can go too far with price. 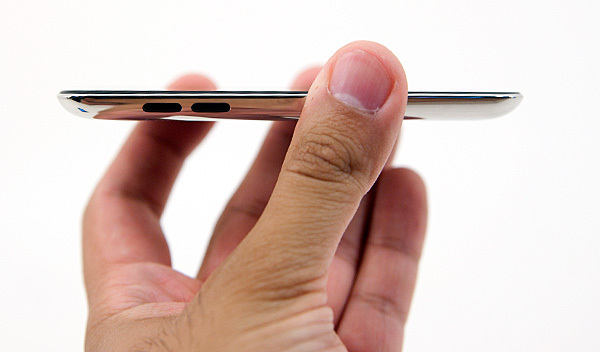 This isn't the mac book air, its already having that higher end market served by the iphone itself. This is the iphone nano or such. Comparing it to the iphone to cast it in a bad light is stupid. If you are going to do such a stupid thing, use the ipones unsubsidized price of 500 or 600 dollars to make it fair, then you really understand whats going on. Apples selling an "iphone" touch for less than half the price, so yes, something is not going to be as nice. But don't pretend the haters would spend 600 dollars on an ipod touch. I think the comparison is completely fair. Your point only makes sense, if you buy the iphone not to use with AT&T and pay the full price. Why would you? Did you read the article? it is not the same as the iphone 4. Great job with this review, definitely makes me not as excited about upgrading my 2nd gen itouch. The speaker is my most disappointing thing to read. I was hoping it would sound more like current gen cell phone speakers. I can deal with the rest of the shortcomings, I basically just wanted a camera, mic, faster processor, and wireless N. I got all those things. yea but look at the iphones unsubsidized price. 500 dollars, or 600 dollars. the itouch starts at 2xx dollars.